The Mighty Purse is a wallet-slash-purse that charges your phone. Why you’d pay $99 for this instead of putting a $10 portable charger in your purse or pocket you already own is beyond me. 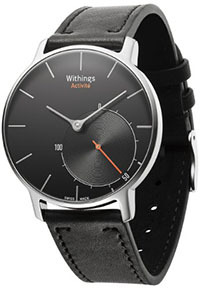 Like the Fitbit, the Withings Activite tracks your body’s statistics and sends them to your phone. Unlike the Fitbit, it costs over $400. 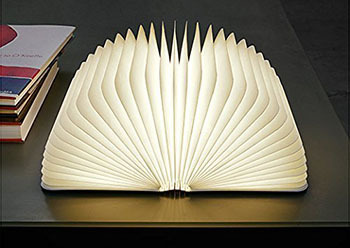 The Lumio Book Lamp looks like a book, but when you open it, it lights up. 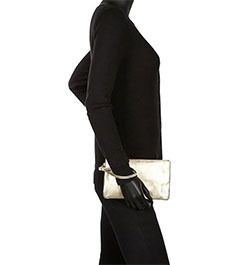 This would be merely inconvenient, not ridiculous, if it weren’t for the price. 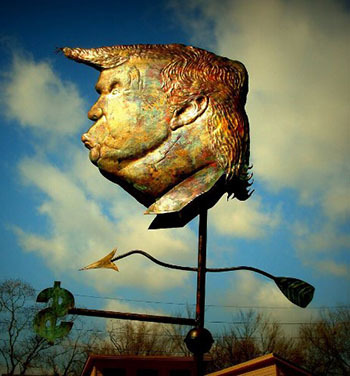 Conceived as a political statement, this $15,000 copper weathervane will no doubt be purchased by someone who doesn’t understand the significance of portraying a political candidate as changing position based on the wind. 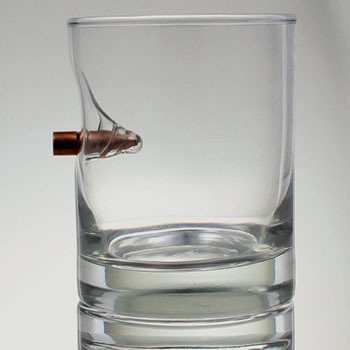 What is the most American drinking glass? The one that got shot, obviously. 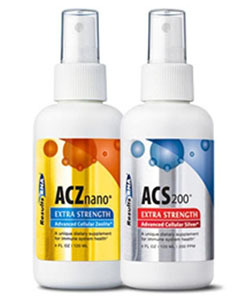 ACZ Nano, being sold here in a combo pack with ACS 200, is, obviously, a hoax product. It contains zeolite, which is a type of mineral whose structure contains molecular micropores, giving it a high surface area. It’s typically used as a catalyst in the “cracking” of petrochemicals (breaking larger carbon chains down into smaller, more useful compounds.) It’s more or less harmless to ingest, because it doesn’t prevent, treat, or cure any illness. Ingested zeolites are part of the larger medical hoax called “chelation therapy,” which holds that typical symptoms of being alive, such as fatigue, joint aches, and insomnia, are actually caused by heavy metals that are poisoning our bodies. Supposedly, if we take supplements to grab onto (chelate) these metals and flush them out of our body, then we’ll feel better. It makes sense, except that it’s not actually true. If you were acutely poisoned by lead, for example, you might be treated with EDTA, an effective chelation agent for lead inside the body. This is because EDTA is biologically useful for chelation of heavy metals, where zeolites are not. And most people, in the course of their daily lives, are not suffering from the effects of acute heavy-metal poisoning. Also, as a side note, EDTA is widely used as a food preservative, because it inhibits the activity of metal ions (calcium and iron, mainly) from discoloring or fouling the taste or smell of the food. The same organo-freaks/naturopaths/granola-hoaxers that would take mineral droplets for detoxification would very likely hand-wring about the use of “artificial preservatives” if they found EDTA in the ingredients list of a food or personal product they bought. Sometimes, people think of a product name that’s so funny (to them) that they can’t let it go. They have to go ahead and actually make the thing with the name they thought of. 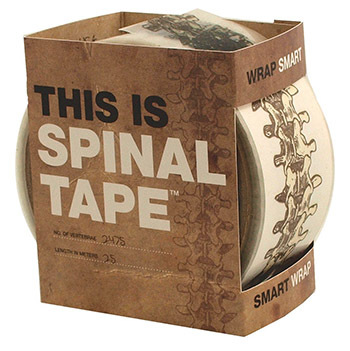 I have no doubt that This Is Spinal Tape is one of these items. It’s “frequently bought with” the Lumbar Vertebra Mug, which is possibly a worse idea, as the picture of someone holding it shows that a lumbar vertebra is actually a terrible handle for a coffee mug.